/Image Related /Video Related /Other General Questions /How can I annotate a previously captured video? 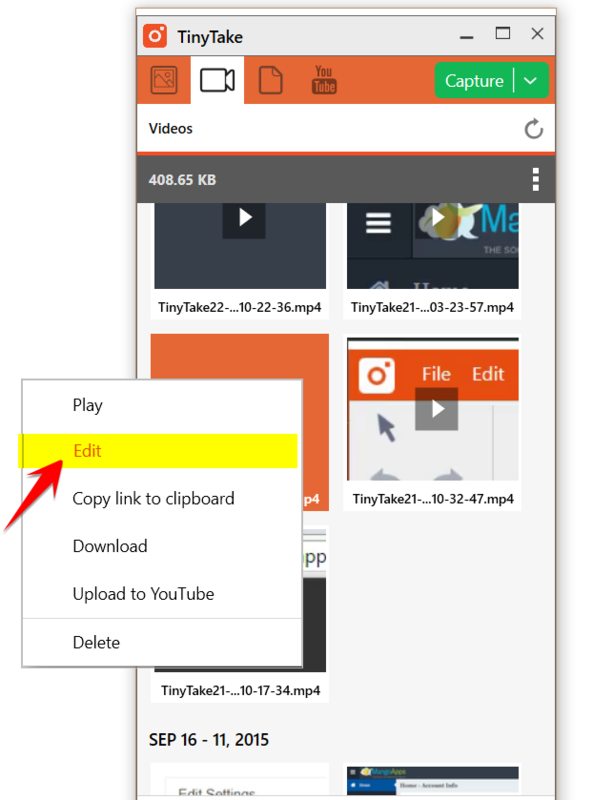 To annotate a previously captured video with TinyTake, navigate to the TinyTake Video Gallery, right click on the the video you wish add annotations and click on Edit. Clicking on edit would open the video in the TinyTake video editor, you can now add annotations to the same.